Since projects can contain limited or in depth project information, LiensNC provides different methods for users to search for filings. It's up to you to decide which option works best with the project details you have. This area of the site should assist you with generating a manageable amount of results when performing your search. Click on the tabs to see additional information about searching. Obtaining the Entry Number is the best way to positively ensure you find the correct construction project. If someone gave you a copy of the filing details printout (or if obtaining a copy from the job site), the project's Entry Number can be found at the top of the page. Click on the Entry Number tab to search by the project's Entry Number, or select the Advanced Search tab to filter results by project key words or phrases. Select the Examples tab to see helpful search tips. Searching by Entry Number is the best way to ensure you find the correct project. Each filing in the LiensNC system is assigned a unique identification number (aka Entry Number) that cannot be duplicated. It can sometimes be difficult to obtain the Entry Number from the person you are working with. Remember, they may not know you need this information unless you ask for it. Communication is key. From the Search drop-down menu at the top of the page, select the 'Entry Number' search option. ​From the home page, select the Entry Number button located beneath the Find an Appointment heading. ​From the Entry Number Search page, enter the project's Entry Number in the field provided and select the Search button to see the result. ​There will either be one result, which indicates the number is valid, or you will receive a message letting you know that Entry Number does not exist. If the Entry Number is not available, the Advanced Search option is an alternative searching method. From the Search drop-down menu at the top of the page, select the 'Advanced Search' option. ​Although using Advanced Search could produce too many results or none at all, it gives users the ability to refine results using one or more filtering capabilities. Note: Filtering results can either work for you or against you, depending on the search criteria used. Be careful! First we'll examine the Filing Date Range filter. If you know the exact date or a general timeframe of when the filing was submitted online, enter the date in the From and To fields to narrow results. • ​If you are unsure about the From or To filing date, leave one of the fields blank to widen results. • If you do not know the filing date range, simply leave these fields blank. Next, select the Search button to see the results of your query. ​The Keyword filtering method is a bit more complex. We aim to assist you with effectively and efficiently finding the information you are seeking by providing you with some of our best practices for searching the LiensNC system. 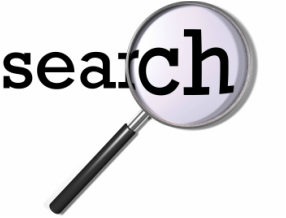 It's important to note that our system uses a Boolean search methodology, which means you can include and/or exclude certain words and phrases to alter the search results. Search for the most unique words/phrases from the project information you have. Avoid using broad terms that apply to many construction projects. Avoid using commonly abbreviated words, such as; road, drive, street, north, highway, etc. Searching for these terms could cause you to eliminate applicable projects. Place multiple words in "quotation marks" to search for an exact phrase. The connecting word AND (in all caps) will search for all of the keywords/phrases in the query. The connecting word OR (in all caps) will search for any of the keywords/phrases in the query. The connecting word NOT (in all caps) will eliminate a keyword/phrase from the query. Avoid pasting a keyword/phrase into the query that was copied from another source, such as MS Word, as this could adversely alter the results. Use caution when searching for words that are often misspelled. (Such as Raleigh) If the filer enters the word incorrectly, the system does not auto-correct the spelling. Punctuation is stripped from search queries. ​If any results are found, Appointments are the only filings that are listed in the search results, even though the system is searching through all Appointments and Notices. This is important because you may not see the query in the Appointment, which displays on the initial search results page. In order to get a complete look at the entire project information, you will need to drill deeper into the Related Filings Report. Example: If the property address is 5120 Doughtymews Lane, we suggest searching for"Doughtymews"
Example: Searching for 865 Dorothea Dix Drive will give results for projects that contain ANY of the keywords. To look for the exact phrase, the query would like like, "865 Dorothea Dix" - remember, drive is a term we suggest stripping from the query. Example: If you have the street name and city but not the lot number, a search such as, "Glenwood Acres" AND Greensboro could be helpful. Example: Let's say the project has two addresses and you aren't sure which one the filer used, a sample search like "123 Western" OR "PO Box 3456" would display results for either address. Example: If you have several projects with the same address but notice that most are in the same city, the query might look like "123 Oak Village" NOT Charlotte. Example: Searching for the term Raleigh would generate thousands of results. Example: If you search for the term Highway and the filer entered it online as "Hwy," you would not find it. Example: Filer spells the city "Raliegh." The project will not display in results if "Raleigh" was queried. Example: Searching for "Sherwin-Williams" will produce the same results as searching for "Sherwin Williams."